"Subtle Disguise is a crowning achievement from a certified vibraphone master." For several years now vibraphonist/composer/bandleader Joe Locke has had two musical purposes: one, to speak in a vernacular which reaches people, and two, to continue challenging himself as a player, writer and arranger. In 2013 Locke released Lay Down My Heart (Blues & Ballads, Vol. 1), which dealt with the first directive. Then in 2015 he completed the astounding Love Is a Pendulum, a suite in 5 movements, which addressed the second. Now, on his newest release, Subtle Disguise (available on Origin Records, November 16, 2018), both of these impulses have been integrated into one recording. Subtle Disguise would not have come to actualization were it not for Locke’s collaborators: Locke states that, “Raul Midón’s contribution was essential to the project. His vast musical knowledge combined with his deep understanding of the Blues make him a unique artist. The same can be said of guitarist Adam Rogers; he dips into a lot of different stylistic territory on this album, and he’s always brilliant, honest and deeply communicative. David Binney brings the fire, pure and simple. His contributions raise the bar on the tracks he graces. All three of these musicians are people I’ve been looking to work with for a long time. 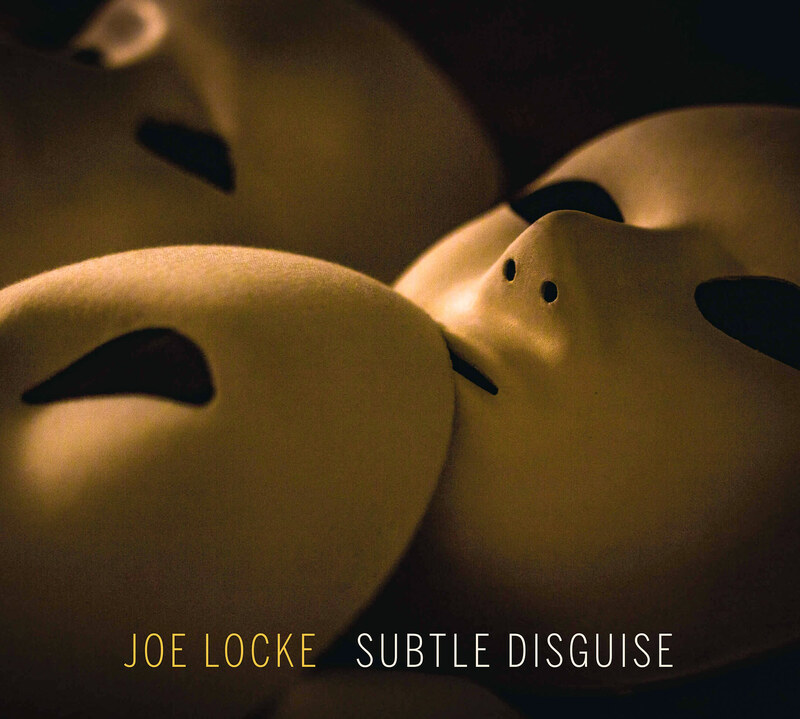 Having them together here made this project even more special for me,” explained Locke. Although Who Killed Davey Moore? – Bob Dylan‘s song about passing the buck – was written in 1963, Locke’s composition Rogues of America speaks to a more current manifestation of callous indifference. Blondie Roundabout is a dedication to Locke’s manager, Nadja von Massow, around whom there is a constant flow of creative traffic. Safe and Sound (At The Edge of the Milky Way) was inspired by a line spoken by Albert Finney in the film adaptation of Lyle Kessler’s play, Orphans. “I like the paradox of all of us being safe and sound in such a precarious place in the universe”, says Locke. A Little More Each Day, the vocal version of this song, serves as the album’s closer, with Locke on piano, David Binney on alto and Alina Engibaryan interpreting the lyric beautifully. Red Cloud is named for the great leader of the Oglala Lakota People (1868-1909), and was composed after reading ‘The Heart of Everything That Is’, a biography of his life. Who Killed Davey Moore? tells the story of the championship fight between Moore and Sugar Ramos on March 21, 1963, which would result in Moore’s death. In each verse of Dylan‘s song the protestations build to suggest that perhaps they are all to blame for the tragedy. Hopefully, our version of the song maintains the essence of The Blues, as well as the song’s narrative about passing the buck in America. Subtle Disguise – We all wear one from time to time, it seems. I keep mine in an empty paint can in the basement. This piece is so named because it’s based on an old Miles Davis song, disguised though it is. Make Me Feel Like It’s Raining is dedicated with love and respect to the memory of Bobby Hutcherson. Bobby was once asked what he wanted as a listener. He responded, “Jerk me around! Jerk my soul around! Make me smile and laugh. Make me sad. Make me feel like it’s raining.” He did all of that. Rogues of America – Keeping in mind that these notes are being written in 2017, care to place a bet on who I’m thinking of here? I’m not putting any money down on you to lose the wager. Motherless Children was composed in 1927 by Blind Willie Johnson and has been recorded by numerous artists. This track is a tip of the hat to my beautiful sister Bea, who turned me on to the Steve Miller Band version when I was a boy. Safe and Sound (At the Edge of the Milky Way) – As with so many of my songs, this was inspired by a phrase, in this case, uttered as a gift to a scared kid by Albert Finney’s character in the film adaptation of Lyle Kessler‘s play ‘Orphans’. Blondie Roundabout is my nickname for my manager, Nadja von Massow, around whom there is a constant flow of creative traffic. I’m ever grateful for her acumen, insight and tireless support. Wanna received occasional Joe Locke email updates? Yes, please add me to your list.